DC Innovation Corps (I-Corps), the new, National Science Foundation-backed program aimed at translating the region's vibrant research community into successful startups and licensed technologies, kicks off its first cohort this week at the George Washington University with 20 teams of inventors and current and aspiring entrepreneurs. The cohort launches with a diverse mix of teams from the Children's National Medical Center, Johns Hopkins University, University of Maryland, the George Washington University, Virginia Tech, George Mason University, and regional entrepreneurs from the Emerging Technology Center, Maryland Technology Enterprise Institute (Mtech) and bwtech@UMBC. DC I-Corps guides entrepreneurial teams through an intense, seven-week program based upon the Silicon Valley-tested Lean Startup Model, which emphasizes developing a Minimal Viable Product, gathering extensive feedback from potential customers (a minimum of 100), pivoting and iterating. Teams seek a product-market fit for their innovation while developing a repeatable and scalable business model. "Nothing lays a better foundation and prepares startups for the rapid change and challenges of the 21st century than the Lean Startup Model," said DC I-Corps Director Edmund Pendleton. "We believe that combining this methodology with the research churning from world-class universities and federal laboratories in this region is the equivalent of releasing lightning from a bottle. Great companies that bolster the region's economy and bring important products into our lives are bound to emerge." ChronoKair: comprehensive healthcare smartphone/tablet application covering a patient's entire hospital course. Entrepreneurial Lead: Kelly Swords, urologist and pediatric urology fellow and adjunct faculty, the George Washington University. Shoulder and Hip Arthrography Robot: small and lightweight robot for shoulder and hip medical procedures. Entrepreneurial Lead: Reza Seifabadi, Joseph E. Robert Fellow at the Sheikh Zayed Institute for Pediatric Surgical Innovation. Smartpupillometer: smart phone application for measuring pupil size and reactivity in different clinical settings. Entrepreneurial Lead: Mariana Mafra Junqueira, anesthesiologist and pediatrician, and Joseph E. Robert Fellow at the Sheikh Zayed Institute for Pediatric Surgical Innovation. Tutela Industries: interactive patient engagement platform that employs a patient engagement approach with the ultimate goal of improving short and long-term outcomes for babies in the neonatal intensive care unit. Entrepreneurial Lead: Karen Alder, vice president. High Score Educational: 3D gaming application for science teachers. Entrepreneurial Lead: Len Annetta, professor. CloudAdvisor: system for predicting virtual machine cloud performance and recommending public cloud instances. Entrepreneurial Lead: Ahsen Uppal, senior software engineer. Key Orthopedics: 3D-printed polymer device for growing stem cells in bone and cartilage tissue. Entrepreneurial Lead: Benjamin Holmes, Ph.D student. NanoChon: joint injury therapeutic technologies for extended and sustained biologic delivery. Entrepreneurial Lead: Nathan Castro, Ph.D. student. Small Spacecraft Micropropulsion: advanced micro-cathode arc thruster for small satellites. Entrepreneurial Lead: Samudra Haque, Ph.D. student. ToxSpec: low-cost, rapid method for predicting pharmaceutical compound activity and toxicity. Entrepreneurial Lead: Nan An, Ph.D. student. Read Ahead: ocular training method for seeing ahead when learning to read music. Entrepreneurial Lead: Travis Hardaway, adjunct faculty, Peabody Institute. Astrapi Corporation: advanced coding technology for improving broadband and wireless communications. Entrepreneurial Lead: David Shaw, senior vice president. Awarables: solution for measuring sleep disorders in pediatric and aging populations. Entrepreneurial Lead: Madhvi Upender, scientist and entrepreneur. Autonomous Marine Systems: autonomous sailing catamaran for ocean surveillance. Entrepreneurial Lead: T.J. Edwards, partner and mechanical engineer. Surveillant: advanced compliance and checklist software for government, financial, security and related sectors. Entrepreneurial Lead: Jeehye Yun, founder and CEO. Diagnostic anSERS Inc.: molecular fingerprinting technology for forensics and chemical analysis. Entrepreneurial Lead: Sean Virgile, Ph.D student. Myotherapeutics: clinical assay for Amyotrophic Lateral Sclerosis (ALS), also known as Lou Gehrig's disease. Entrepreneurial Lead: Eva Chin, assistant professor. N5 Sensors Inc.: chemical sensors for industrial and environmental monitoring. Entrepreneurial Lead: Jonathan George, Ph.D. student, the George Washington University. XiaoQi': medical device for detecting hemoglobin and oxygen in oral and internal organ lesion tissues. Entrepreneurial Lead: Hsing-Wen Wang, visiting research assistant professor. Dynamic Safety Systems: worker safety system with online reporting tools and data analysis. Entrepreneurial Lead: Brady Redfearn, graduate student. A joint effort of the University of Maryland, the George Washington University and Virginia Tech, DC I-Corps focuses on innovations coming from engineering fields, medical/health/life sciences, and physical and computer sciences. The program builds upon the successful National Science Foundation (NSF) I-Corps initiative, but expands its scope to cover researchers and technologists with no prior NSF affiliation or support. DC-I-Corps partners supporting the program and/or providing mentors include FounderCorps, UM Ventures, TEDCO, Center for Innovative Technology, INNoVATE, Federal Lab Consortium, Roanoke – Blacksburg Technology Council, ACTiVATE®, Maryland Intellectual Property Legal Resource Center, Springboard Enterprises, the George Washington University Office of Entrepreneurship, Virginia Tech School of Engineering, University of Maryland James Clark School of Engineering, University of Maryland Academy for Innovation and Entrepreneurship and Maryland Technology Enterprise Institute (Mtech). 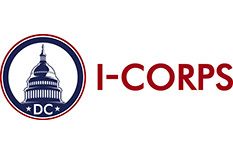 DC I-Corps is part of a national network of five nodes across the country selected by NSF with additional nodes in Silicon Valley, New York, Atlanta, and Ann Arbor. More than 200 teams have gone through the I-Corps program; that number is expected to hit 300 by Spring 2014. I-Corps teams completing the program and applying for NSF SBIR Phase I grants have seen a 60 percent award rate compared to a historical one in six average. Poor market and commercialization understanding are cited as the most common reason for rejection. An additional DC I-Corps cohort customized for National Institutes of Health (NIH) researchers will commence on November 4 on the NIH campus in conjunction with the NIH Office of Technology Transfer and BioHealth Innovation Inc. (BHI).